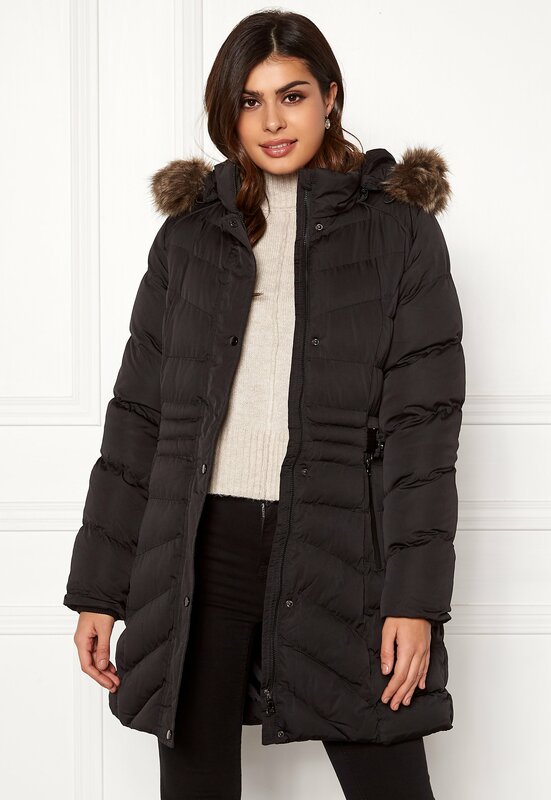 Elegant coat in a longer design from QED LONDON. The coat has lovely details and an accentuated waist. 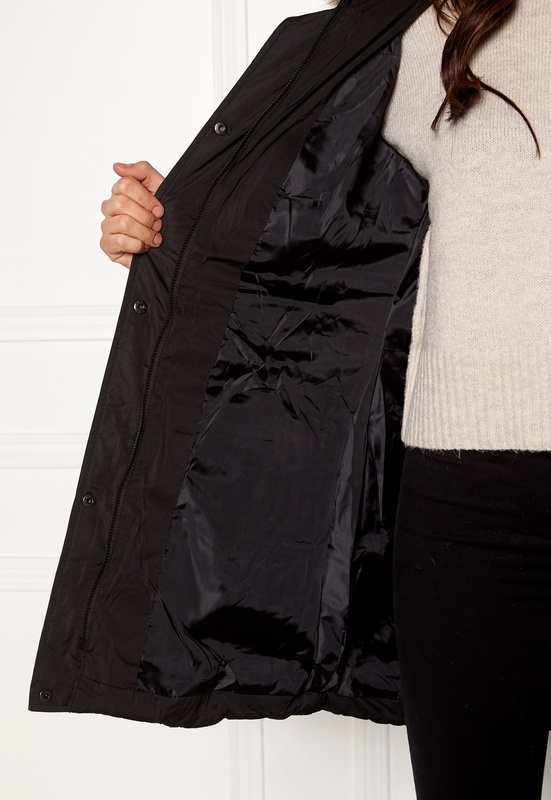 The coat is sure to keep you warm during fall and winter. 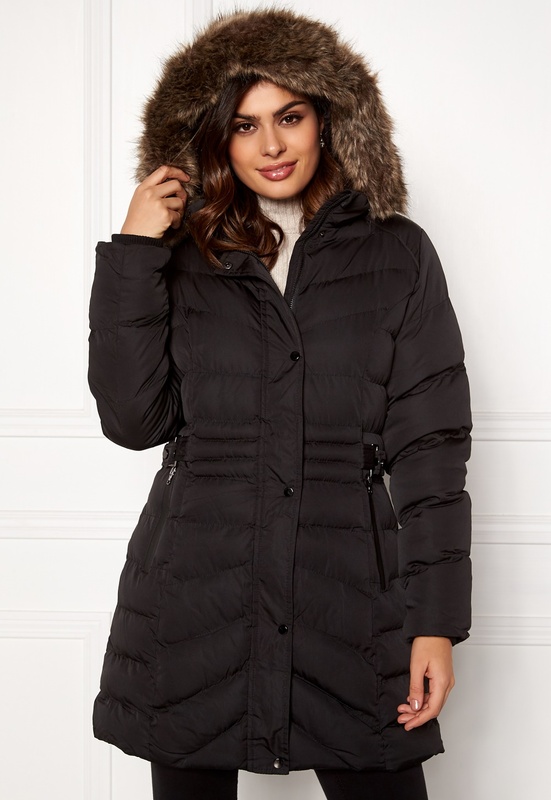 - Nonstretch, woven quality - Detachable drawstring hood - Detachable faux fur trim - Closure with black zipper and snaps - Two front pockets - Waist buckle - Wrist cuffs Back length from shoulder 89 cm, bust 104 cm, sleeve length from shoulder seam 69 cm in size 36 (UK10). The model is 178 cm tall and wears a size S (UK10). Dry clean only.